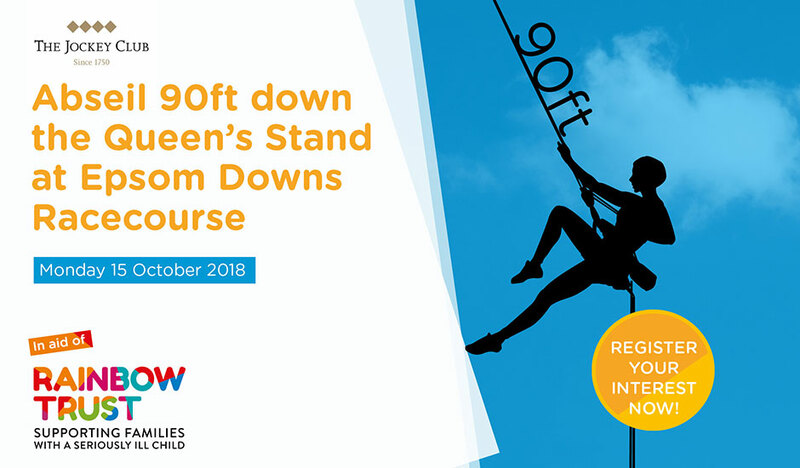 Conquer your fears this summer and push yourself over the edge with a 90ft Abseil down the Queen’s Stand at the heart of Surrey’s Epsom Downs Racecourse. Regarded as one of the most impressive stands in British racing, the 90ft high Queen’s Stand at Epsom Downs Racecourse offers unparalleled views of one of Britain’s most prestigious racecourses. Although a spectacular vantage point, those enjoying the views from the top of the stand rarely like it enough to leap over the edge – but that’s exactly what our charity partners, The Jockey Club, are recruiting brave participants to do at our abseiling challenge this autumn on Monday 15 October. Open to all, this challenge is the perfect opportunity to face your fears, engage your sense of adventure, and raise funds for charity in the process. You don’t have to be as fit as Bear Grylls (or as wild!) to take on this challenge. The abseiling experts and instructors from Mile End Climbing Wall have been operating for more than 30 years and in that time have catered to people of all ages, shapes and sizes – no elite fitness levels required here! Book your place today, or email Mike Bambrough to find out more.